Isabel Hardman is Assistant Editor of the Spectator and presenter of Radio 4’s The Week in Westminster. She regularly writes political columns for a number of other publications, including The Times, Sunday Times, Observer, Sun, Evening Standard, and the Independent. She has been based in the parliamentary press gallery for four years, and is also a regular guest on programmes such as the Andrew Marr Show, Newsnight and the Today programme. She has appeared on Question Time. Previously she was Assistant News Editor at PoliticsHome.com and her first job was as a reporter on Inside Housing magazine. 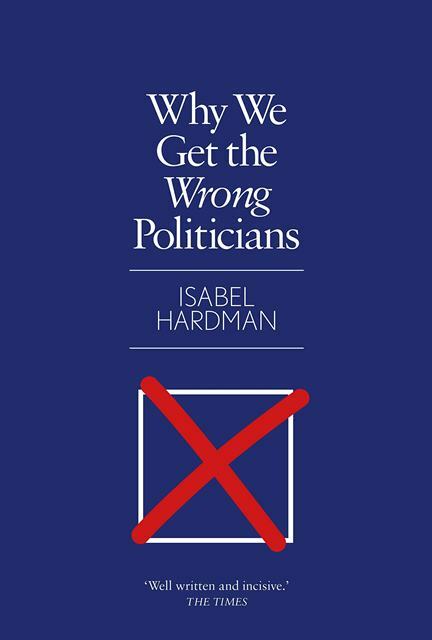 Isabel’s first book, Why We Get the Wrong Politicians, is published by Atlantic. It was shortlisted for Waterstones’ 2018 Book of the Year and won Book of the Year by a non-parliamentarian at the Parliamentary Book Awards.